Products of the domain : Château de Rochemorin. The history of this vast domain of Pessac-Léognan is rich. It begins in 1520 with Jean de Amelin, rich landowner of Sarlat who came to Bordeaux for business, decided to invest in the vine. 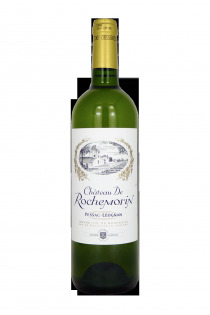 The history of this Château Rochemorin has been rich since 4 centuries of passionate about the vine.Located In the Pessac-Léognan region, in the Graves, this castle is of very ancient origin. In 1973, André Lurton, in love with this region of the Graves, and inescapable character of the Bordelais, buys this domain. It invests in infrastructure and Plant of Cabernet Sauvignon, Merlot and Sauvignon, to produce very attractive and well balanced red and white wines of excellent quality. 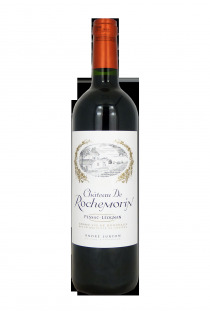 Pessac Léognan Graves - 2008 - Château de Rochemorin. Pessac Léognan Graves - 2009 - Château de Rochemorin.